Many children have been learning about the first and second World Wars at school, this Monday is Remembrance Day it is also known as Armistice Day or Poppy Day, it is a memorial day celebrated by all the commonwealth countries to honour and remember the brave civilians and members of the armed forces. November 11th was selected to commemorate the end of World War 1 in 1918, the war officially ended on the 11th hour of the 11th day of the 11th month it was at this time that the Germans signed the Armistice which ended it officially. The Poppy is a significant part of this day because of the world famous poem ‘In Flanders Field’ written by Lt Colonel John McRae, it is a poem about his experience on the battlefields which were filled with bright red poppies and so it is now a symbol of Remembrance Day. To mark the 100th Anniversary of the start of World War 1 next year, The Royal British Legion in partnership with B & Q has launched The Centenary Poppy Campaign to get people to sow millions of ‘Flanders’ Poppy Seeds in gardens throughout Britain, the seeds are available now and for each packet purchased a donation will be made to The Royal British Legion who is the UK’s leading Service charity providing care and support to serving members of the Armed Forces, veterans of all ages and their families. When – Sow your Poppy Seeds from March to June or from September to October. 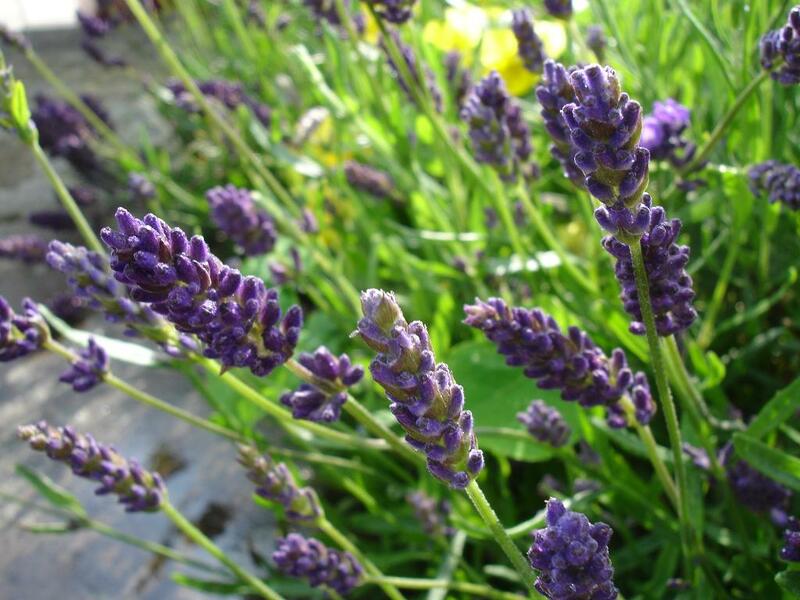 They will flower in the summer months – June, July, August. Where – Poppies like to grow outside, sow them in the garden in a sunny position where they are to flower or if you are short of space they can be grown in pots of compost. How – Rake the soil until it is fine and crumbly, removing any lumps, stones or weeds. The seeds can either be scattered thinly or thinly sown in rows, lightly rake the soil to lightly cover the seeds, and water in. Aftercare – As they begin to grow thin out the seedling so that the plants are 15-25cm apart, remove any weeds and water during dry weather. Poppies are not only beautiful they are beneficial to Bees and Insects too. Dave is the local guy with a big heart and a resolute character, he is running a marathon in memory of 18 of his colleagues he has served with and who lost their lives serving the country, he is running not just one marathon but eighteen in a row, daily. Have a look at his Facebook page by clicking here. He finishes on Remembrance Sunday. You will see why he is so motivated. He would be overjoyed if you were to donate a small contribution to his cause. Thank you. 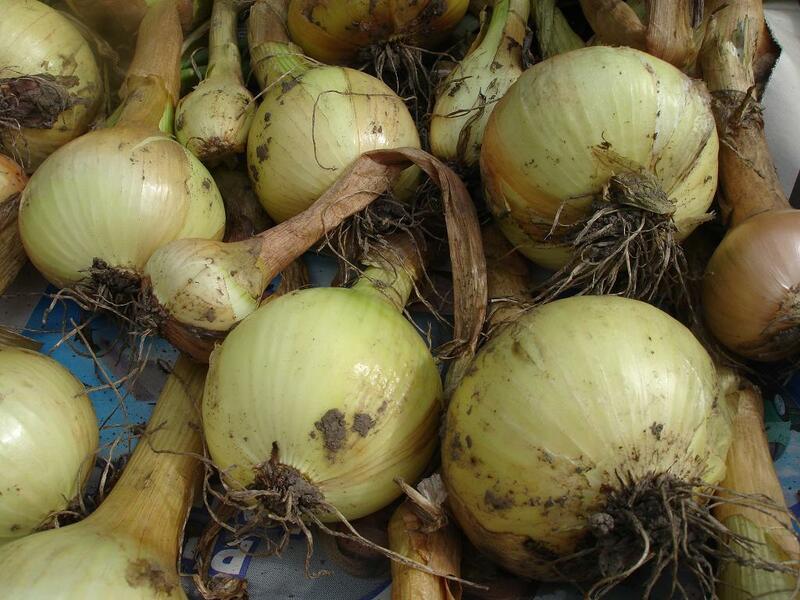 Why not have a go at saving your own vegetable seeds for next year? This year both the garden and the allotment are flourishing, what a huge difference the sun makes, the flowers in the garden are in full bloom with many now producing seed for next years plants, even the vegetables are outstanding with some even worthy of the show bench (local only). Soft fruit picking has been never-ending from Strawberries to Red/White/Blackcurrants, Gooseberries, and Raspberries with the promise of a good crop of Blackberries, Apples, Pears, Damsons and Plums yet to come. If you have grown some vegetables which have produced an exceptional and tasty crop why not try saving some of their seeds to grow next year, this is not a new idea. Millions of people, for many thousands of years have been saving their own seeds to grow year after year, this has led to the preservation of many old ‘Heritage’ seed varieties and the creation of many new varieties. Collect seed from strong, healthy, vigorous plants when they are fully mature/ripe choosing the largest seeds and those that are not damaged or deformed. 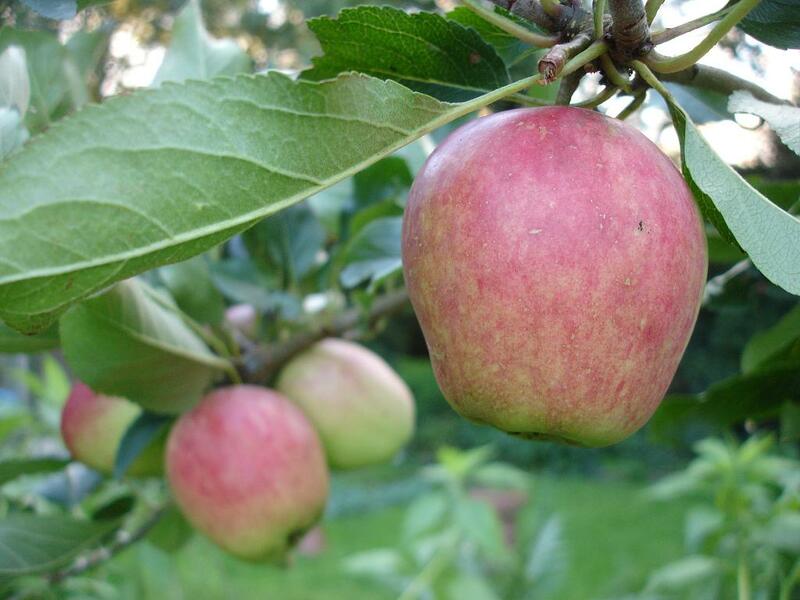 Allow fruits to fully ripen on the plant before collecting their seeds. Don’t be tempted to collect seeds from F1 hybrids they will not grow true to the parent plant, producing an inferior plant and crop. 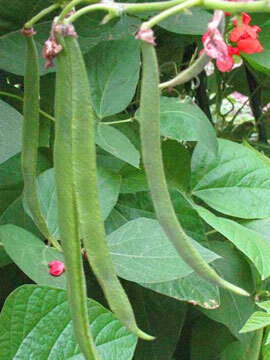 Let the pods mature and ripen on the plant. Pick the pods whole when they are dry and start to turn brown and lay them out on newspaper indoors to dry out for at least two weeks, remove the individual seeds from the pods, allowing them to dry out further before storing. 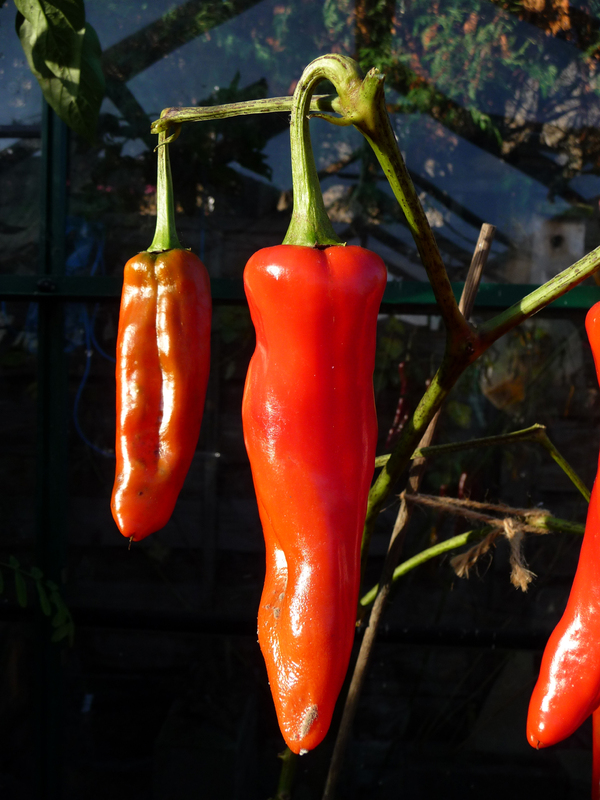 Collect seeds from Peppers that have fully ripened on the plant and have started to go soft and wrinkly. Remove the seeds and place on a plate to dry out, when they are completely dry they are ready to store. Care must be taken with Chilli Peppers, it is advisable to wear gloves and allow an adult to remove and handle the fruits and the seeds. 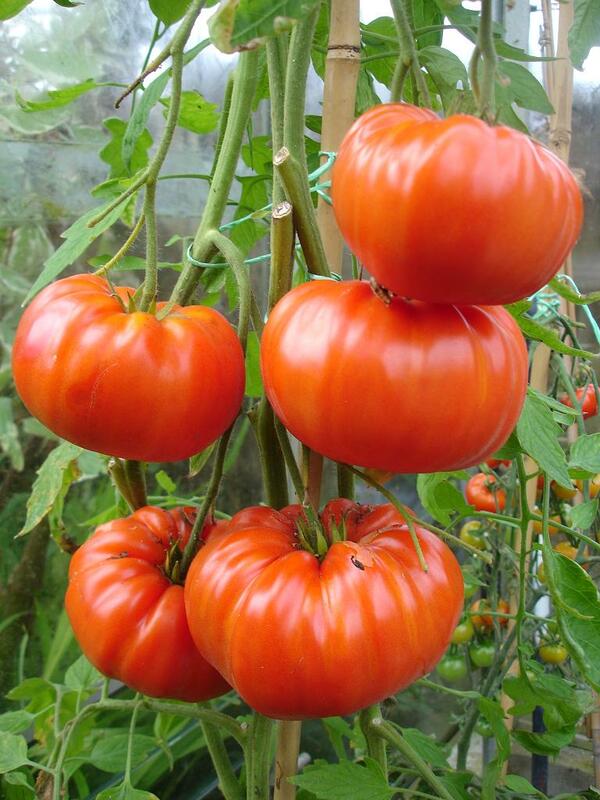 Pick tomatoes that have been left to fully ripen on the plant. Scoop out the seeds and the pulp, place them in a container with water for a few days swirling the water each day. The seeds should come free from the pulp and sink to the bottom, drain off the liquid and any seeds that float, rinse the seeds in a small plastic sieve. Place the seeds on a plate to dry out, when they are completely dry they are ready to store. Place your dried seeds in paper envelopes, labelling them with the name, variety and the date that you collected them, adding any growing instructions or notes. Store the seeds in a cool dry place in an airtight tin, which will keep moisture, unwanted insects and animals out. Allowing the seeds to mature on your plants will reduce any further crops as the sole intention of any plant is to put all its energy into making seeds so that they will grow again next year and once this has been achieved its job is done. Collecting seeds will save you money, is rewarding, fun and educational, teaching children about the life cycles of plants and how the food that they eat grows. Pressing flowers, leaves and grasses is easy and fun, follow some simple steps to get the best results, and then enjoy making pictures, cards and bookmarks. Pressing flowers is a great way to preserve flowers and can be done throughout the year to record the Seasons, why not stick them in your Wildlife and Nature Diary or a Scrapbook. Firstly, you will of course need a Flower Press! Before beginning we advise that only flowers from the garden should be picked and pressed. It is against the Countryside Code to remove plants from the countryside and wild flowers should always be left for the enjoyment of everyone. When selecting flowers to press always choose those that are looking their best, and are clean. Removing moisture is the key, so begin by collecting the flowers when they are dry. Wet flowers can go mouldy. Press your flowers as soon as possible to avoid them drooping or wilting. Lay the flowers flat face down on the blotting paper. 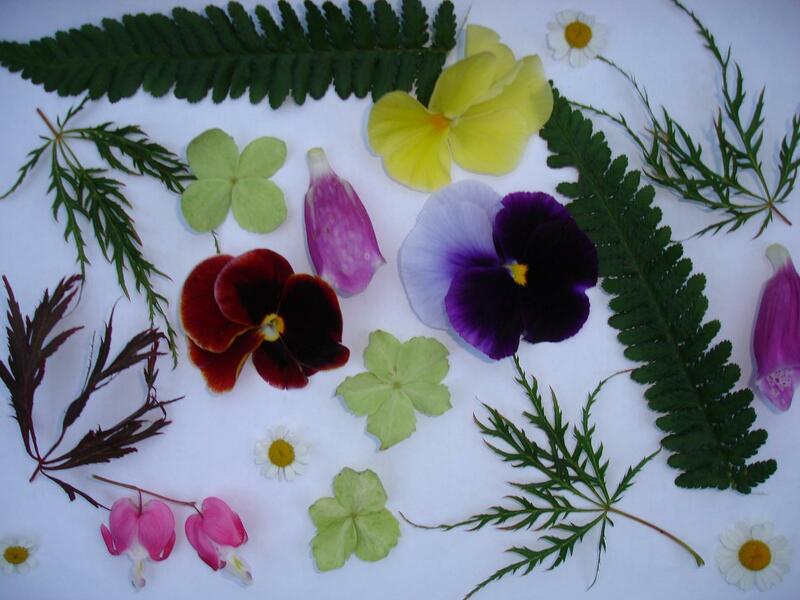 Take care to arrange leaves and petals as you want them to appear when the flower is pressed, try pressing flowers on their side to get a different effect. 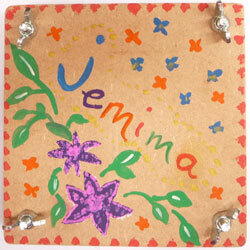 Place another piece of blotting paper or flower preserving paper on the top. Place the two pieces of paper between two pieces of cardboard. Place the layers into a flower press as follows, cardboard, paper, flowers, paper and cardboard. Depending on the press you may be able to fit in several layers like this. Tighten the wing nuts and leave to dry for a few days, longer if you use large, thick flowers. Alternatively place the flowers between sheets of blotting or flower preserving paper and place inside a large book such as the phone book and leave for a few days. Be careful to use enough plain paper sheets to protect the books from staining. Experiment with different types of flowers. Pansies and violas are particularly easy and tend to keep their colour well. Pressing flowers the traditional way can take time and lots of patience but if you want faster results flowers can be pressed and dried in the microwave. Repeat the process in the same way as above but if you use your flower press you will need to remove the wing nuts/bolts and secure the wooden boards with wide elastic bands 2 or 3 along each side, if you use a book check that it has no gold embossing and remove any staples. Place in the microwave for two minutes on medium heat, allow to cool then have a look at the flowers to see if they are dry if not return to the microwave for another minute and check again, keep repeating until the flowers are completely dry. This method may need a little experimentation. Pressed flowers loose their colour if exposed to light so avoid direct sunlight or humid rooms when displaying them. 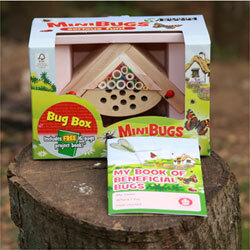 We love these kids Minibug houses, and they are are a great way to introduce children to the facinating world of wildlife. Perfectly designed for children to use, the bug habitats have also been carefully constructed to provide perfect insect habitats too. 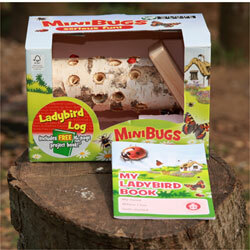 The MiniBug Ladybird Log is a natural habitat for ladybirds and other beneficial insects. Constructed from solid FSC birch logs and oak, larch, or similar timber for durability, the Ladybird Log has a hollow central chamber that can be filled with natural material to provide insulation and security for the ladybirds inside. Intersecting the chamber are many holes drilled into the log at an upward angle, which allow the insects to reach the insulated and safe inner chamber. Ladybird Food/Attractant can be used with the tower if necessary and/or the tower may be used to release larvae with food source. This Minibugs Bug Box provides over-wintering habitats for insects such as solitary bees (non-aggressive garden pollinators). 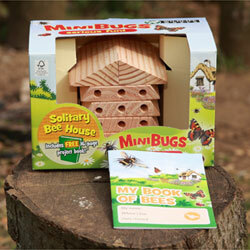 The MiniBug Solitary Bee House is a natural habitat for non-swarming solitary bees. Based upon the best selling solitary beehive and made from naturally durable FSC Cedar, this unique solitary bee house is specifically designed to attract non-swarming bees, which are gregarious and safe around children and pets. Well we don’t have any snow outside yet so why not Build Your Own Snowman with this fun game. It is great for children from 4 years upwards. Simply create your own personalised snowman, give him a name and print your picture out to keep!